ASSADABAD, Afghanistan, May 23, 2013 (ENS) – Illegal and risky it may be, but mining for gemstones is an irresistible way of earning a living for some Afghans. 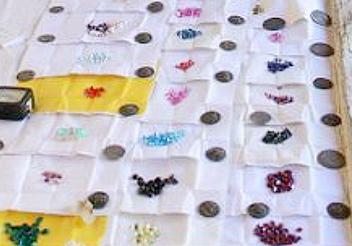 The eastern province of Kunar is just one region where precious and semiprecious stones are dug up and smuggled abroad. In Kunar, the mountain areas where gems are found are mostly controlled by the Taleban rather than the Afghan government. In the Chapa Dara district, 50 kilometers (30 miles) from Kunar’s main town Assadabad, and miners are hard at work opening up the mountainside. One man, with gray streaks in his beard and wearing old, torn clothing, said he started here three months ago, but had been mining for the last 10 years. He had set up a row of lights to illuminate his path as he carried away rocks and soil in a wheelbarrow. He said a seam containing precious stones had been identified, but it would take several more weeks of digging to get at it. The miners here are employed rather than working freelance. Although unsanctioned by the government, the mine is controlled by a group of “shareholders,” one of them the owner of the land and another, a man called Ahmadullah, who spoke on the record about the mining. Ahmadullah, from the neighboring province of Nangarhar, described how he began by organizing the clearance of landmines scattered around the area. Now he supervises the miners. Semi-precious lapis lazuli, tourmaline, aquamarine, kunzite, topaz, garnets, fluorite and varieties of quartz have been found in the mountains of Kunar. Precious gems including emeralds, ruby and sapphires are mined in other eastern Afghan provinces. The association of gemstone producers for eastern Afghanistan says large amounts of stones are being smuggled over the border into Pakistan, rather than being recorded and taxed. The government department responsible for mining in Kunar is aware that illegal excavations are going on in Chapa Dara, while police say they are doing their best to stop the mining and smuggling of gemstones. Provincial police chief General Habibullah Saidkhil said his men halted illegal mining, but only in areas under government control. Although relatively small compared to other provinces in Afghanistan, Kunar has among the highest concentrations of both U.S. and Afghan security forces. Meanwhile, the Taleban commander in Chapa Dara said he would not stop people digging up assets that belonged to them. 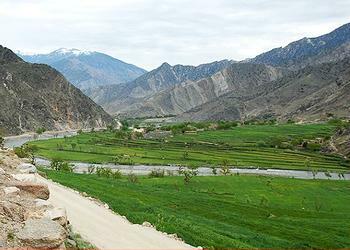 Nearly all of Kunar province is mountainous or semi-mountainous terrain. The lower Hindu Kush mountains form the Kunar Valley, and the Kunar River flowing south drains the Hindu Kush basin. The mountains, narrow valleys with steep sides and the river have served as natural obstacles to travel through the province throughout history.